This week is Respectful Workplace Week at the University of New Brunswick. In keeping with a province-wide initiative to declare Sept. 6 to 12 a time to recognize and promote respectful conduct, there will be information and events between both campuses this week. Respectful and positive behaviour in learning and working spaces contributes to individual, organizational, and societal well-being and prevents unnecessary suffering. 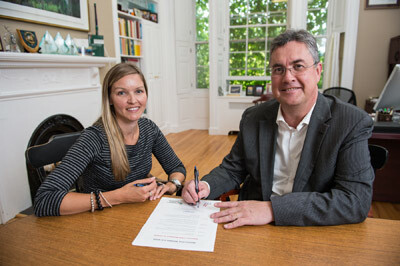 “Every member of the university community has a responsibility to contribute to a respectful learning and working environment by treating others with respect,” says UNB President Eddy Campbell, who recently signed a declaration proclaiming this week as Respectful Workplace Week at the university. Of note, Alanna Palmer, our Interim Human Rights Officer, will be hosting an “open office” on Wednesday, Sept. 9 at her Saint John office, Room 200A in Ganong Hall, and would like to invite individuals to drop in to meet her and discuss respectful workplace principles or simply say hello. On Thursday, Sept. 10, the Workplace Violence and Abuse Team of the Muriel McQueen Fergusson Centre for Family Violence Research is hosting a free public presentation series at the Fredericton Public Library. Faculty, staff, and students from both the Fredericton and Saint John campuses are welcome to attend. For more information on respectful workplace principles at UNB and for assistance in dealing with issues, you are encouraged to get in touch with Palmer at (506) 458-7889 or alanna.palmer@unb.ca. If you have any questions about Respectful Workplace Week or the presentation series, Sue O’Donnell of our Nursing Faculty would be pleased to hear from you. She can be reached at (506) 458-7637 or sue.o@unb.ca.